REDDING CULTURAL CRUISE IS JUST AROUND THE CORNER, COMING FRIDAY, JANUARY 25, 2019. PARTICIPATE IN THE CRUISE AND WIN! CULTURAL CRUISE IS FREE TO ATTEND! VISIT VENUES AND COLLECT STAMPS ON YOUR CRUISE MAP TO ENTER INTO CULTURAL CRUISE PRIZE DRAWING! CRUISE REDDING CULTURE AND ARTS ON BOARD OF ONE OF THE CRUISE BUSES! THE WIDELY POPULAR ATTRACTION IS AVAILABLE AGAIN IN 2019! BUS TOUR WILL BE HOSTED BY JOHN TRUITT AND MICHAEL FLANAGAN! TICKETS INCLUDE COMPLIMENTARY WINE DONATED GENEROUSLY BY MOSELEY FAMILY CELLARS! THERE ARE TWO BUSES TO CHOOSE FROM. CHOOSE EXPRESS IF YOU PREFER FASTER PACE AND VISITING ALL OF THE CRUISE VENUES! CHOOSE CRUISER IF YOU WANT TO SPEND MORE TIME WITH THE ARTS AT REDDING CITY HALL, NORTH VALLEY ART LEAGUE, OLD CITY HALL AND TURTLE BAY EXPLORATION PARK. Join us SATURDAY, JANUARY 26 for Day 2 of Redding Cultural Cruise! Visit Old City Hall, Turtle Bay Exploration Park and California Street Labs to participate in make & take activities: jewelry-making from found objects at Old City Hall; Zentangle art at California Street Labs; a variety of activities at Turtle Bay Exploration Park. Please note, there will be a small materials fee. Admission fee to Turtle Bay Exploration Park may also apply. 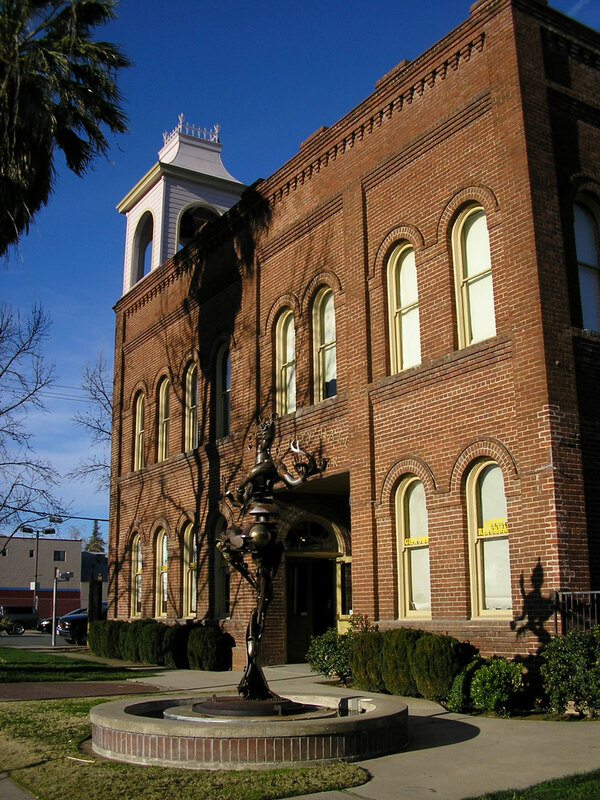 At 7:30pm, head over to Old City Hall for Trinity Alps Chamber Music Festival presenting “Midwinter Beethoven”. Entering its ninth season, the Trinity Alps Chamber Music Festival again celebrates the music of Beethoven with a 15-concert winter tour of three states. On Saturday, January 26th, the program will feature Beethoven’s Violin Sonata No. 3 and Cello Sonata No. 4, a world premiere of Trinity Triptych, a new trio by composer-in-residence Max Stoffregen, and Dmitri Shostakovich’s wartime epic, the Piano Trio in E Minor, Op 67. Festival director Ian Scarfe will be playing piano and discussing the program. He will be joined by violinist Rachel Patrick and cellist Charles Akert. Admission is open to the public, audiences may pay-what-they-can, with a suggested donation of $20 per person. on Sunday, January 27 at 2pm, for the North State Symphony annual winter chamber concert? Explore beloved and lesser-known works by Brahms in an intimate setting. NSS concertmaster Terrie Baune on violin will be joined by audience favorites Carol Jacobson on cello, Dan Nebel on horn, and special guest pianist John Chernoff. Tickets are available at Cascade Theatre Box Office – the cost is $10 for youth, $25 for adults. Please note, the Cruise Bus is available only on Friday, January 25. There will be no raffle stamp collection on Saturday, January 26.